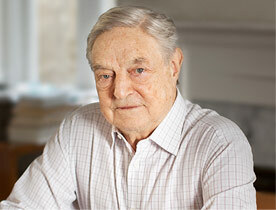 George Soros | Brexit in Reverse? This worked for a while because household consumption stimulated the economy. But the moment of truth is fast approaching. As the latest figures published by the Bank of England show, wage growth is not keeping up with inflation, so that real incomes have begun to fall. Once the experience of June is repeated in subsequent months, households will realize that their living standards are falling and they will have to adjust their spending habits. To make matters worse, they will also realize that they have become over-indebted and they will have to pay back their debts. This will reduce the household consumption that has sustained the economy even further. Moreover, the Bank of England has made the same mistake as the average household: it underestimated the impact of inflation and is now catching up by raising interest rates in a pro-cyclical manner. Economic reality is reinforced by political reality. The fact is that Brexit is a lose-lose proposition, harmful both to Britain and the European Union. It cannot be undone, but people can change their minds. Apparently, this is happening. Theresa May’s attempt to strengthen her negotiating position by holding a snap election has badly misfired: she lost her parliamentary majority. The primary cause of her defeat was her fatal misstep with the dementia tax that offended her core constituency, the elderly. But the increased participation of young people was also an important contributing factor. They voted for labor in protest, not because they wanted to join a trade union or support Jeremy Corbyn (although he gave an impressive performance). Their attitude to the single market is diametrically opposed to that of Theresa May. Young people are eager to find well-paying jobs, whether in Britain or elsewhere. In that respect, their interests correspond with the interests of the City of London, where some of those jobs are to be found. If Theresa May wants to stay in power, she has to change her approach. There are signs she is prepared to do so. By approaching the negotiations starting on Monday in a conciliatory spirit, she could reach an agreement with the European Union on their agenda and agree to continue as a member of the single market for a long enough period to carry out all the legal work. This would be a great relief to the European Union because it would postpone the evil day when Britain’s absence would create an enormous hole in the EU’s budget. That would be a win-win arrangement. Only by taking this path can she hope to persuade parliament to pass all the laws that need to be enacted. She may have to abandon her ill-considered alliance with the Ulster Unionists and side with the Tories of Scotland. She would also have to atone for the sins of the Tories in Kensington with regard to Grenfell Towers. She could then carry on leading a minority government, because nobody else would want to take her place. There are signs she is prepared to do so. The divorce process would take at least five years to complete and during that time new elections would take place. If all went well, the two parties may want to remarry even before they have divorced.